If you are planning on making the excursion to Japan one day and have absolute zero idea when to go or what to see, don’t worry! BentoByte has you covered. We may be a collective of nerds but we are also avid travelers that can provide a bit of insight into what to expect when making the big journey across the Pacific. In this post we’re going to cover Tokyo on a broad spectrum. Hopefully we’ll be able to touch on others in later posts (including other minor info regarding some of the areas within Tokyo). With luck, we will help guide you through one of our favorite cities. So you have finally hit that point right? You have been interested in the country for your various reasons for quite some time. But now, it’s time to make the plunge! First things first, depending on how long you are staying, you need to consider how you’re going to get around one of the largest cities in the world. Tokyo has an amazing public transportation system and there are two train companies in Tokyo you can purchase passes from. Our recommendation is that you consider purchasing a JR pass (short for Japan Rail). 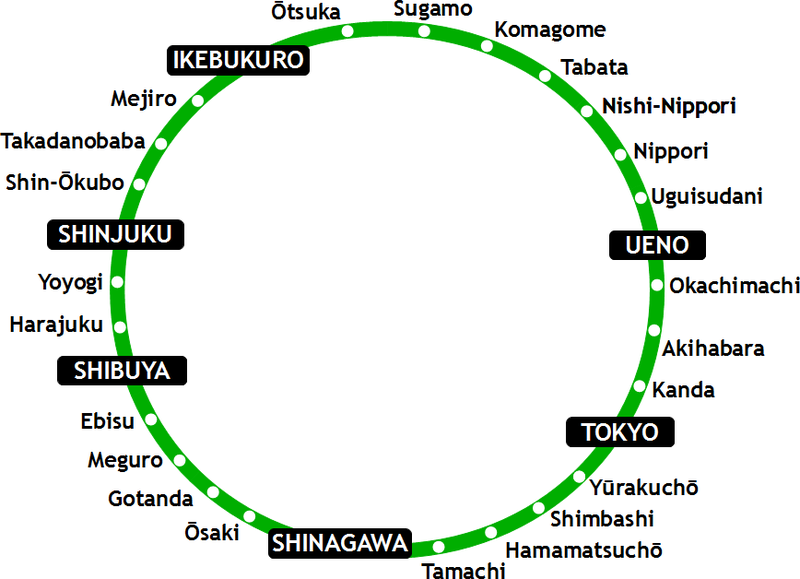 This pass allows you access to any JR line which is valid for the main loop in Tokyo. It may take a little longer than the direct subway routes, but on the whole it is well worth the cost. Especially if you are considering taking a Shinkansen (the bullet trains) to anywhere else in Japan. Just be sure to activate it at the JR office in the airport when you arrive. Depending on how long you need, the pass will dictate the price. Overall, constantly buying train passes vs. flashing a badge it is a pretty easy choice. As long as you are near one of the main stations on the JR loop below, you should be in good order. We stayed at Nippori, which is a quiet and quaint little (or at least less busy section) in Tokyo. If you are traveling with a group of friends, we highly recommend doing AirBNB. It can be a very cost effective method and it allows you to stay in traditional Japanese homes for a more traditional experience. Ours included tatami mats, futons, and non-western bathrooms (heated toilet seats are AMAZING). Between the flight and the cost of transit, you’re looking at what is most likely to be the most expensive part of the visit. Should you be traveling here during the Sakura season (around early April when the cherry blossom trees bloom), you may experience people out and about setting up tarps claiming their spots to enjoy the trees when they bloom in Ueno Park. Not only is the park itself very pretty, it’s also home to a plethora of museums that are worth checking out. This includes the Tokyo National Museum and the Tokyo Metropolitan Museum. On top of all of this, checking out the various temples in the park are well worth your time as well. As we are going to safely assume (since you are on an anime and manga themed site) that you will want to check out the electric district of Akihabara (秋葉原). Also known as Akiba (秋葉), Akihabara is every nerd (from electronics to comics) and otaku’s dream. As we think their are so many things to take in with Tokyo, we don’t think you should spend the entire time here. However, since it may well have helped sway your decision in the first place, it’s definitely should be on your list of places to visit. One thing to quickly note, you will not nearly have enough time if you are hoping to check out every single building that is filled to the brim with anime related things. These buildings are not only massive, each floor is teamed with so much merch that it can take hours to get through one. In fact, BentoByte took 2+ hours just to check out even one with 8 flights within it. Amidst all the maid cafes and pachinko parlors, we think there is plenty to see and explore in terms of the world of anime and manga (and who knows you may be lucky like we were and pick up a copy of Dark Souls 3 before it is even released in the States). If you managed to reserve tickets ahead of time, you should hit up the Tokyo Imperial Palace, which is just a brief walk from the main Tokyo station. If you would like to get into the main part of the palace, you can reserve your tour ahead of time here. Unfortunately, we missed our window of opportunity but you can still walk around the outside garden and see a lot from there if you. 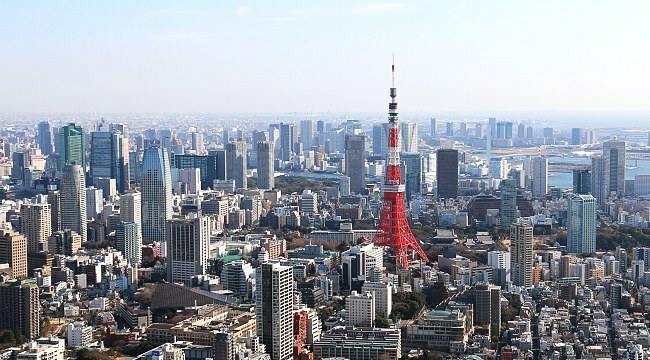 For those who aren’t afraid of heights (not me), Tokyo Tower is the perfect place to go when you want to get that perfect bird’s eye view of the city and the surroundings. As an added bonus, the potential photo opportunities there are incredible. So pack up that DSLR and head over and see the skyline. The shops. The sprawling and crowded marketplace. Even the Harujuku girls (you’ll know one when you see one). They’re all quite the sight to behold. While meandering through this area, we definitely recommend checking out some of the crazy and interesting fashion that comes out of this area. And while you are at it, go check out the Kawaii Monster Cafe. Conveniently, right next to Harujuku and along the JR line is Yoyogi Park. Not only is this park incredibly beautiful and have some incredible gates, it is also home to Meiji Jingu (明治神宮 otherwise known as Meiji Shrine). This shrine is incredibly old and is dedicated to Emperor Meiji (go figure) for his part in the Meiji Restoration¹. The shrine itself is very beautiful and the surrounding garden and park are definitely worth visiting. The park is a nice time away form the constant hustle and bustle of the streets of Tokyo. As the saying goes; if it exists, you can buy it in Tokyo. This couldn’t possibly be more true than in the Shibuya ward (渋谷区 also known as Shibuya-ku). Much like how Akihabara has buildings and buildings of anime, Shibuya has more shops than the eye can see. So while you are meandering through looking for something, go check out the main crossing by the train station. Much like Times Square, this area is certainly worth stopping by. Finally, amidst all the shops and food is the famous Hachiko statue, a famous world wide story of a dog that waits for his master at Shibuya station (not knowing that his owner had passed away). It may just have inspired the saddest episode of Futurama of all time. We realize this shouldn’t be needed to be mention. Everyone should absolutely try most, if not all, the different food you can try while being in Tokyo. Because you probably won’t be able to experience anything quite like (or as cheap) anywhere else in the world. From the sushi conveyor belts, hole in the wall ramen shops, the fresh fish from the Tsukiji Market, to the sweets in dagashi shops, there is plenty to offer in the world’s largest city.